The U.S. and China have agreed to open “enforcement offices” as a way to make sure each side lives up to the terms of a trade deal still under negotiation, Treasury Secretary Steve Mnuchin said Wednesday. President Donald Trump has said the two sides are nearing a trade deal after recent high-level meetings in Beijing and Washington. Officials are discussing text of an agreement that would cover technology transfers, intellectual property protections, non-tariff measures, services, agriculture, trade balance and enforcement, according to China’s state-run Xinhua. The nine-month trade war between the world’s largest economies has disrupted supply chains, whipsawed markets and weighed on the world economy. The International Monetary Fund cut its outlook for global growth to the lowest since the financial crisis, while including a breakdown in U.S-China talks among possible risks. 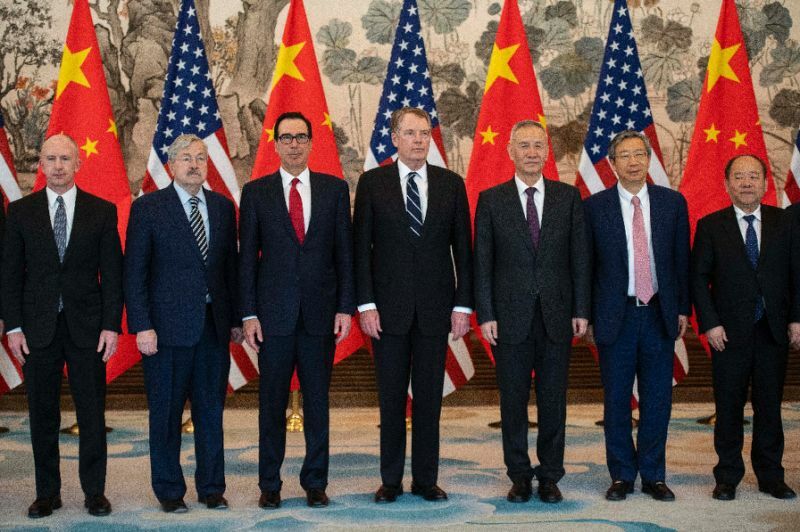 Negotiators are still working out details and discussing when Trump and Chinese leader Xi Jinping could sit down to sign off on the agreement. Despite touting the idea of a “signing summit” at his Mar-a-Lago resort in Florida a month ago, Trump said last week there are no guarantees the two will meet. Next articleJerusalem – Israelis Are Fired Up To See Their Beresheet Spacecraft Land On The Moon. Here’s How To Watch It.